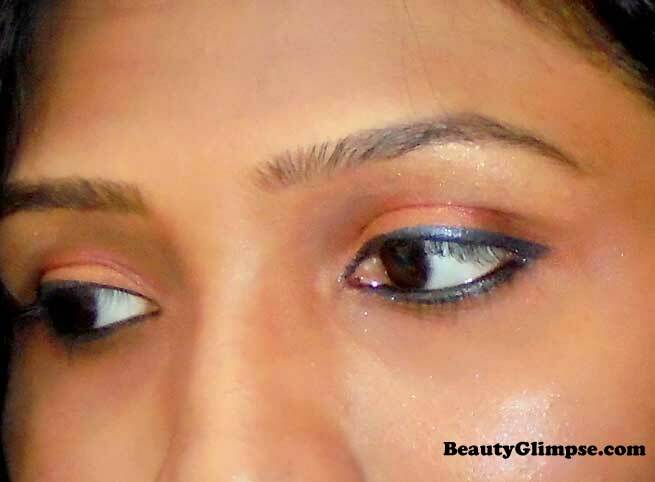 Lakme Fantasy Shimmer Eyeliner has always been on my wish list and finally got it and here is my review for you guys. 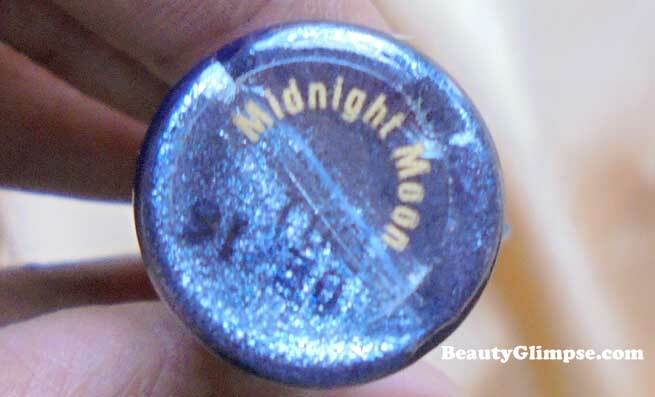 Lakme Fantasy Shimmer Eyeliner- Midnight Moon is the shade that I will be reviewing. The navrathri festival is here and this sure is the right time to add that glitter to your eyelids and shine through the night. Packaging: Lakme Fantasy Shimmer Eyeliner is from Lakme’s 9 to 5 collection and comes in a very gorgeous packaging. 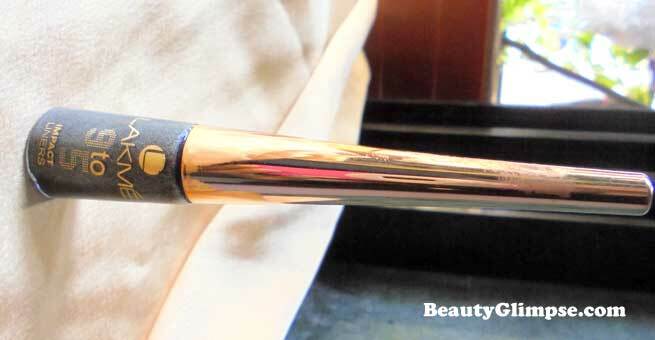 It has a golden pointed lid with a super thin and smooth applicator brush inside. The shade name is given under the bottle. Availability: Easily available at all Lakme counters and online. Lakme Fantasy Shimmer Eye Liner Steal the secrets to those twinkling eyes with a gel based liner infused with micro-fine glitter particles. 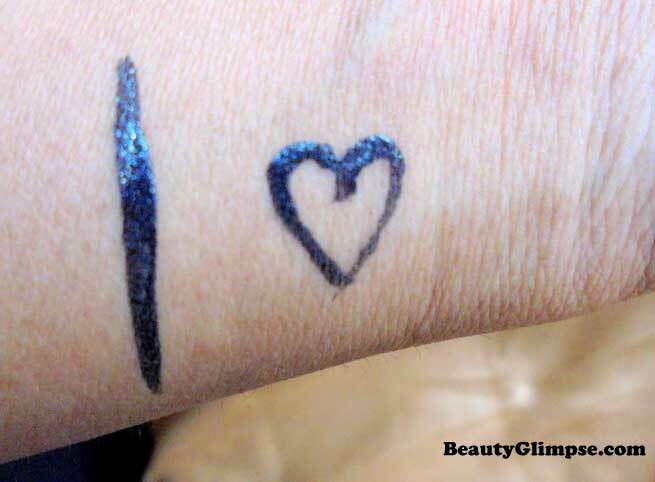 This rich sparkle liner lets you line, layer or blend without smudging or spreading. This is a very subtle yet beautiful greyish black colour with shimmer in it. The shimmer is just right, not over the top or too subtle. It is a perfect shade for a daily shimmer eyeliner as it does not overpower your overall makeup. The brush provided is superb and it helps the process of application to be ultra-smooth. The Lakme Fantasy Shimmer Eyeliner is perfect for a party makeup with western outfit. For the price, I am impressed with this shimmer eyeliner for sure. The staying power of Lakme Fantasy Shimmer Eyeliner is really good and it dries super-fast too. The Lakme Fantasy Shimmer Eyeliner stays up to 6 hours easily without any issues. No smudging whatsoever, so it is a thumb up for me. 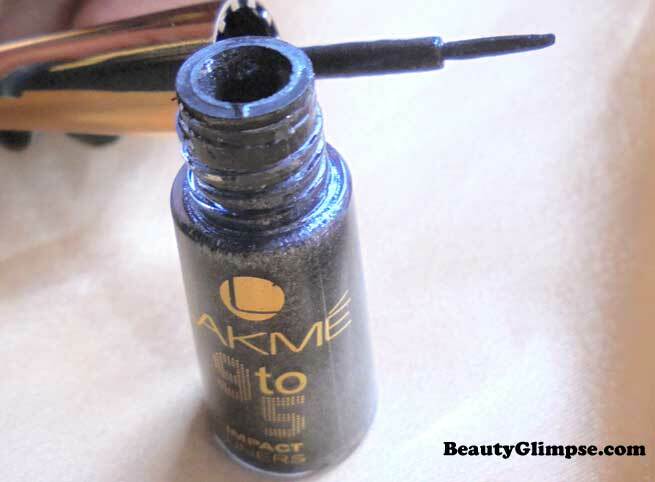 The Lakme Fantasy Shimmer Eyeliner is not water proof so that is one drawback. Also Read – Is Your Eyeliner Giving You Wrinkles? Yes, I will as I loved the shade and goes along with western outfits too. The Lakme Fantasy Shimmer Eyeliner in the shade-Midnight Moon is a very subtle yet classy shimmer eyeliner. This shade is easy to apply and goes well with any outfit effortlessly.